at the Big E, Lions Week, and attend conferences. 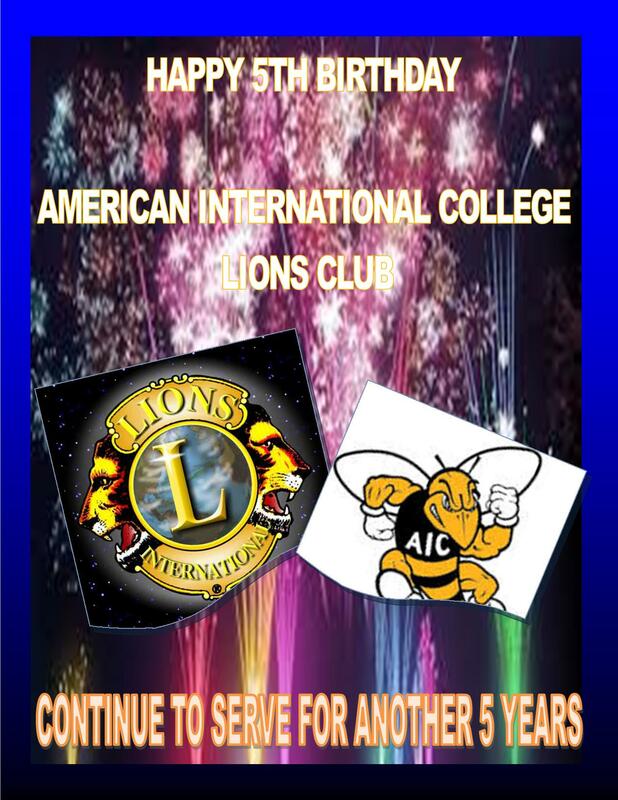 We also be celebrating our 5th year Anniversary when we host Lions Week at American International College. March 31th- April 4th. The Club will be hosting our first Annual Awards Banquet on April 11th at 6pm in the West Wing of the Cultural Arts Center at American International. We will be inviting Lions Clubs in our region as well as supporters of the club. 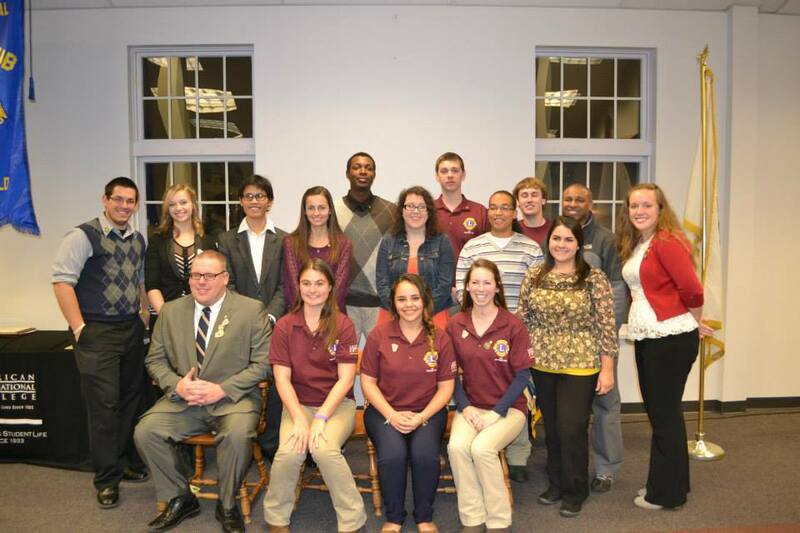 At this time we will also be installing the 2014-2015 Officers. Who will be the new head of the AIC Pride? 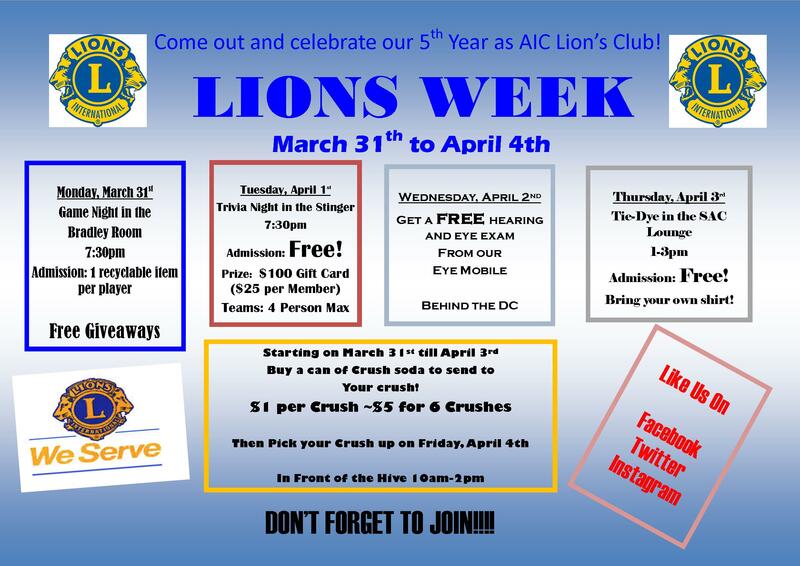 Alot of activities happening for AIC Lions, watch out.